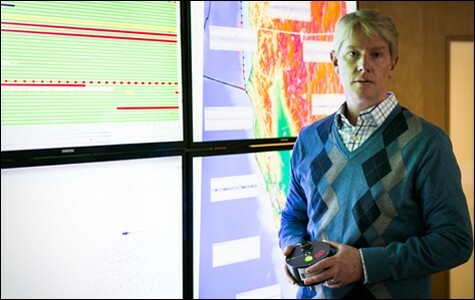 UC Berkeley's Richard Allen co-wrote a paper in 2003 on using p-waves to predict quakes. This article won a national award for journalism excellence in science reporting from the American Association for the Advancement of Science in the small newspaper category for all print publications in the United States with a circulation of less than 100,000. This article won the second place award in the best news story category in the 37th Annual Greater Bay Area Journalism Awards in the non-daily print division. At 2:46 p.m. on March 11, 2011, the Pacific Plate, just off Japan's northeast coast, suddenly thrust downward, unleashing a monstrous, 9.0-magnitude earthquake that rocked the country for the next six minutes. 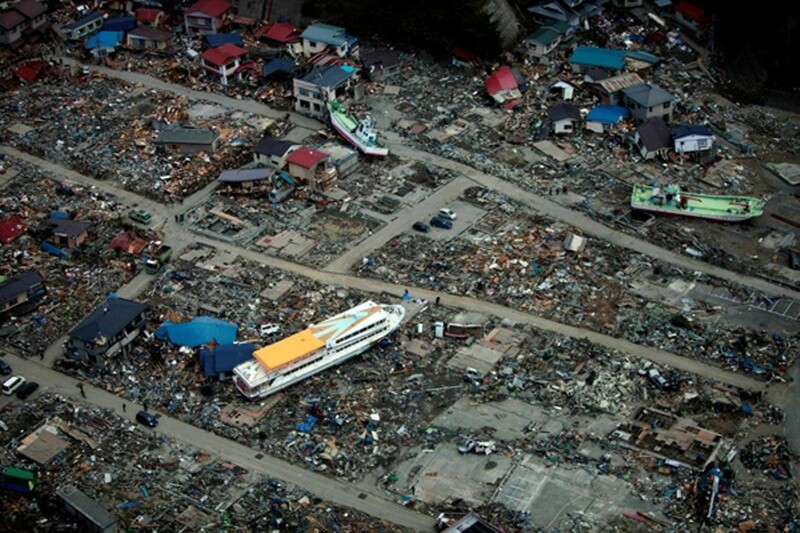 The massive Tohoku quake and resulting tsunami are believed to have killed at least 16,000 people and injured 6,000 more. Another 2,600 people are still missing and presumed dead. The quake was the most powerful to ever strike Japan, and was the fourth-largest ever recorded. It also was the first earthquake to be heard in outer space, and was the most expensive natural disaster in human history, generating $235 billion in total damage. But there was a silver lining, if you could call it that: Tohoku was also the first time that Japanese citizens were given the precious, if limited, gift of time. That gift came in the form of Japan's earthquake early warning system, which detected the giant temblor just before it hit and immediately sent computer-generated alerts across the country to cellphones, TVs, schools, factories, and transit systems. Japan put its finishing touches on its $500 million early warning system in 2007, leaving four years — barely the blink of an eye in geological timescales — before the investment paid off. And in 2011, by all accounts it did. Although it's impossible to quantify the number of lives that the system saved, there were reports in the quake's aftermath of schools having had time to get all their students under desks, of eleven 320-mile-per-hour bullet trains slowing to a stop; of more than 16,000 elevators automatically shutting down when the alarm system went off. In the sixty seconds before the giant temblor struck, roughly 52 million people received text-message warnings that the quake was fast approaching and that they needed to get out of harm's way. In 2007, the same year that Japan finished building its early warning system, earthquake scientists roughly 5,000 miles away in California marked a related, albeit far humbler, benchmark. 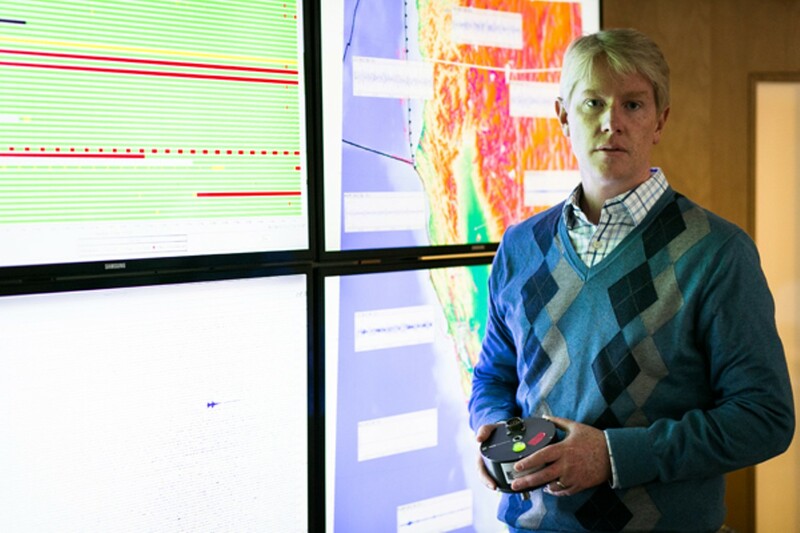 Richard Allen, director of the Seismological Laboratory at UC Berkeley, was in his office on October 30 when a 5.6-magnitude earthquake hit the Alum Rock section of San Jose. 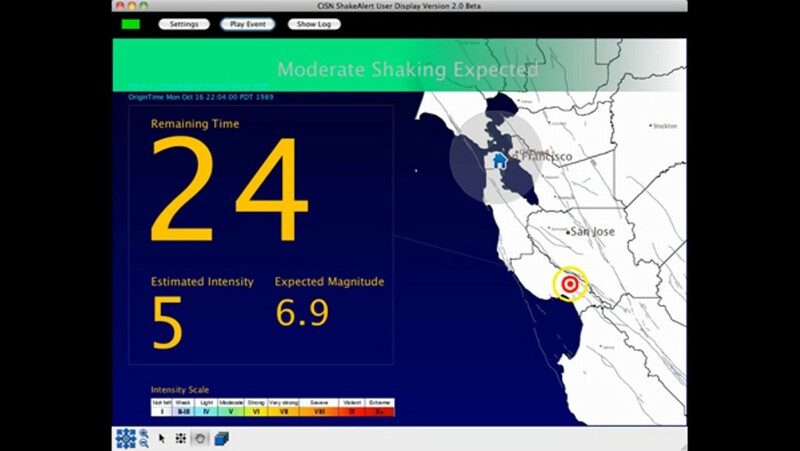 The quake caused only moderate shaking and very little damage, but Allen had reason to be excited: The event marked the first time his Berkeley group was able to test its own early warning system, set up just two weeks before. "It was our first proof-of-concept event," Allen recalled in a recent interview. Thirty minutes after the light shaking ended, Allen received an email showing that the system had successfully detected the right waves, done the right math, and made the right prediction about when and how strongly the quake would hit. Yet this was only a researcher's victory. The tiny system his team had built produced no cascade of texts, no TV or radio transmissions, and no widespread notification that an earthquake was on its way. In the event of a disaster, the technology wasn't even in place for Allen himself to receive a real-time notification from his own system. But this was not a case of Japan being light years ahead of the United States in terms of earthquake-science research. Instead, the wide technological gap between the two countries has more to do with each nation's sense of urgency about the dangers of earthquakes, and the need to prepare for them. In fact, back in 2003, Allen had co-written what essentially became the seminal scientific paper on quake predictions. His work showed that it's technically possible to predict the size and location of quakes right before they strike, and argued for the methods that became the basis for early warning systems, much like the one later built in Japan. And yet a decade after Allen co-authored that paper, California, the second-most seismically active state in the nation (behind only Alaska), still has next to nothing in terms of a public seismic warning system. The technology exists and has for years, but the state legislature has failed to find or allocate the necessary funds to make it happen. In the next few months, however, that might change. A new bill introduced in the state Senate proposes to construct a statewide early warning system, modeled after Japan's successful program, over the next five years. The system, which is projected to cost $80 million to develop and run, could give Californians up to sixty seconds advance warning before a major quake strikes. It could save thousands of lives — perhaps even more if the state is hit by a so-called super quake of Tohoku-like proportions. However, it remains to be seen whether Sacramento will find the money to build it in time. 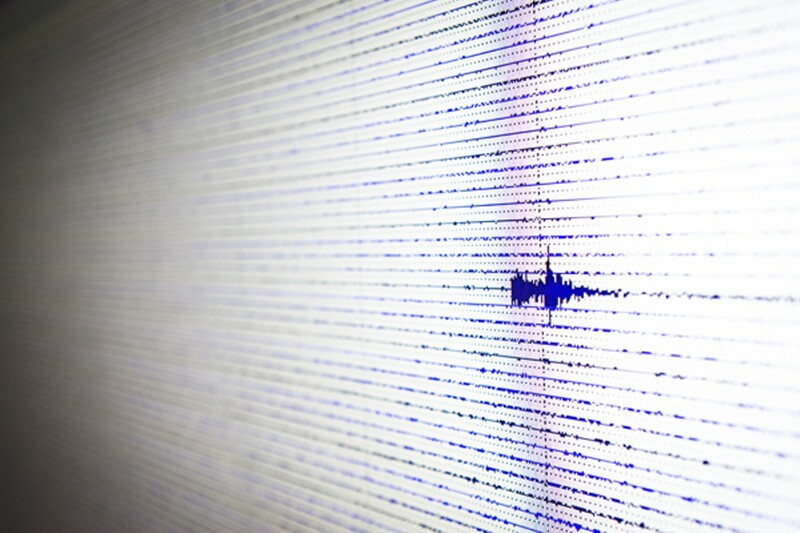 "Seismologists don't like to make very many predictions," Allen said. "But I will make you one prediction, and that is that we will definitely build an early warning system in California. The only real question is whether it's immediately after the next big earthquake, or whether we actually manage to build it before." Richard Allen grew up in the United Kingdom, where there are no earthquakes. He's soft-spoken and carefully eloquent, with skin that the California sun has tanned slightly darker than the white blond of his hair. Rocks of different shapes and colors line the windows of his second-story, fault-map-adorned office, which is on the north side of the Cal campus and has a view of the Bay Bridge. Allen hadn't yet arrived at UC Berkeley when the Loma Prieta Earthquake knocked down a section of that bridge nearly 24 years ago, nor has he witnessed the devastating human impacts of any earthquake firsthand. But he's made it his life's goal to help mitigate the devastation from quakes as much as possible.